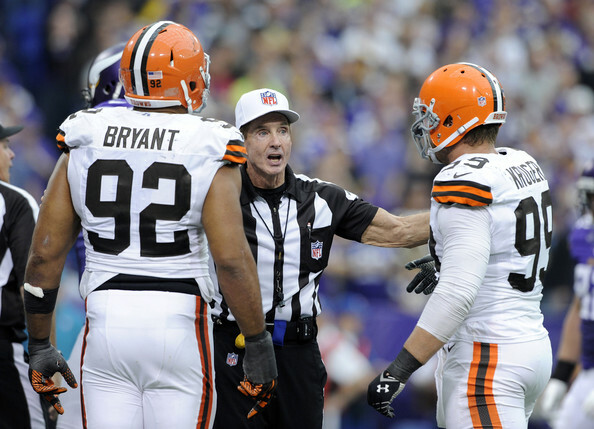 The Cleveland Browns wrapped up the 2013 NFL season a week ago and it was a familiar one for Browns fans. The team finished at 4-12, the 12th time the Browns have had double-digit losses in a season since returning to the NFL in 1999. This was also the 10th time in the past 11 years that the team won two or less divisional games and their 3-5 home record means the Browns still have not posted at least four home wins in consecutive seasons. But it is not all bad news in Berea. Browns owner Jimmy Haslam and team CEO Joe Banner are currently undertaking a thorough and exhaustive search for a head coach to replace Rob Chudzinski, who was fired a year after Haslam and Banner undertook a thorough and exhaustive search that led them to hire Chudzinski. And the Browns hold 10 draft picks in the 2014 NFL Draft, including two in the first round and seven total in the first four rounds. 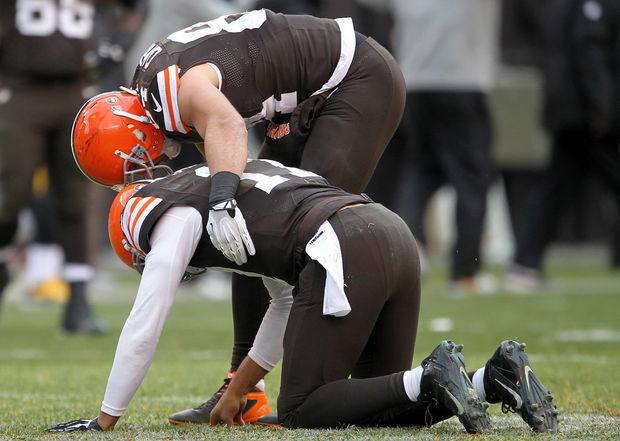 So before we turn the page to next season, let’s look back and some things that went right and some that went wrong for the Browns in 2014. Gordon earned a Pro Bowl selection as well as a first-team All Pro nod after leading the NFL and setting a franchise record in receiving yards with 1,646. His 18.9 yards per catch was the best of anyone who caught more than 32 passes, he had the most receptions of 20-plus yards (30) and was fourth in yards after the catch with 619. And he did it all while missing the first two games of the season due to a league-mandated suspension. We’ve seen a few people refer to Gordon as the best wide receiver in franchise history. We are not old enough to remember Paul Warfield in his prime, but the Hall of Fame wide receiver averaged 21.9 yards per reception and nine touchdowns a year from 1966 through 1972 – an era when passing the ball was not a team’s first (or even second) option. While Gordon has a ways to go before he can be mentioned in the same sentence with Warfield, a few more years like the one he had this year and he will definitely be in the discussion. Cameron will be joining Gordon in Hawaii after finishing third among tight ends (and tops in the AFC) with 80 receptions. He was second overall in yards (917), and had eight touchdown receptions. And in one of those weird stats that don’t mean anything but are still fun to point out, Cameron became the first player in franchise history to catch a touchdown pass from four different people in the same season. Key quote: “What a waste of a draft pick.” – Mike Lombardi after the Browns selected Gordon in the 2012 supplemental draft. Not only is it surprising that Gordon and Cameron put up top numbers while catching passes from the likes of Jason Campbell, Brandon Weeden and Brian Hoyer, but that they did it while lining up with Bess and Little. The Browns traded for Bess during the NFL Draft in April and, for some unexplained reason, handed him a three-year contract extension. Bess finished the season with 42 receptions for just 362 yards and two touchdowns, dropped the second-most passes in the NFL this season with 14, and missed the final two games of the season because of personal reasons. Add it all up, and he was second-worst wide receiver in the NFL according to Football Outsiders. Bess was saved from being the lowest-ranked receiver only because Little picked up that honor. The third-year receiver posted career lows in receptions (41) and yards (465). Over the final seven weeks of the season, coincidently the same timeframe that the front office was reportedly paying attention to this year’s team, Little had two or fewer receptions six times. Key quote: “We believe this is a move that will immediately upgrade our football team and, as we have throughout the off-season, we are committed to improving our club through all possible means.” – CEO Joe Banner in announcing the trade for Bess. Haden and Ward were both named second-team All Pro, with Haden picking up a Pro Bowl spot while Ward is a Pro Bowl alternate selection. Haden easily had his best year and it wasn’t just because of his four interceptions and 21 defended passes. When you look at the players he covered on a weekly basis – and what he did against them – it’s odd that Haden’s name isn’t included in the discussion about the best cornerbacks in the NFL. Johnson averaged six receptions and 113 yards when not facing Cleveland this season. Haden held him to two receptions for 25 yards. Green averaged 6.5 receptions and 100 yards when not facing Cleveland. 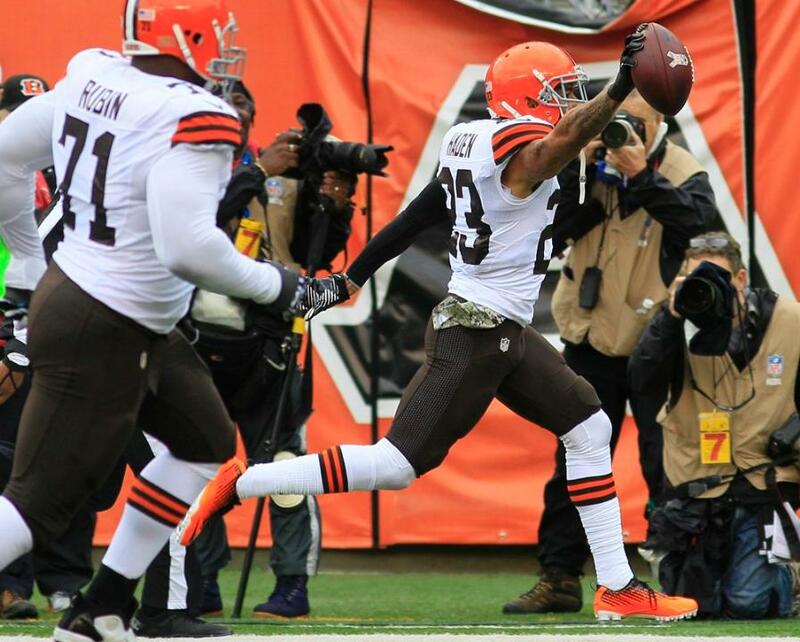 In two games against the Browns, Haden held him to nine receptions for 58 yards. 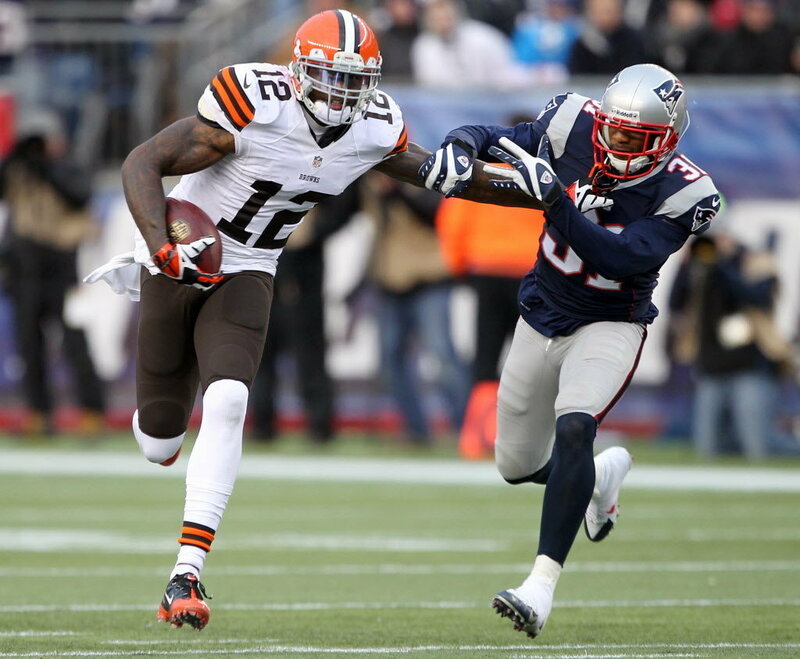 Brown had six receptions for 92 yards in his lone meeting with Haden, the only receiver of the three to approach his season average. More impressively, Haden held the three receivers, who combined for 31 touchdown receptions, to just one touchdown catch. Ward was Pro Football Focus’ fourth-ranked safety this year and was one of the Browns most reliable defenders. He had 121 tackles – including a team-best 94 solo tackles – and 15 tackles for loss. He also returned an interception as well as a fumble for a touchdown. Ward is also scheduled to be a free agent and there is no indication as to whether or not the Browns want to bring him back. Key quote: “Browns first-round pick Joe Haden has not been impressive in camps and might not have enough speed to play corner.” – Mike Lombardi writing at NFL.com during training camp in 2010. The Browns have been a member of the NFL since 1950 and this was, by far, the worst rushing season in franchise history. Willis McGahee “led” the Browns in rushing with 377 yards – the fewest rushing yards to lead the team since Ray Renfro’s 352 yards in 1953. (Although Renfro only ran the ball 60 times that season and averaged 5.9 yards per carry. McGahee? He averaged 2.7). 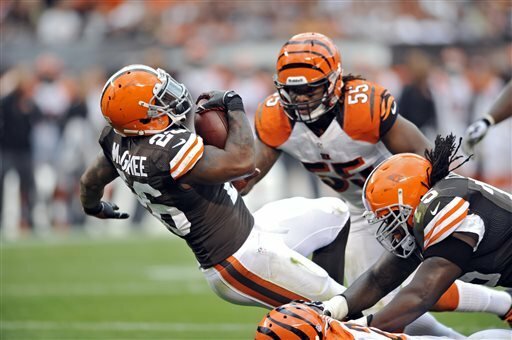 The Browns were 27th in the NFL with just 86.4 rushing yards per game and rushed for a league-low four touchdowns. Things were so bad that (too) many fans were excited about Edwin Baker, a seventh-round draft pick who was on three teams this season, thinking he is the answer simply because he was better than what the Browns were trotting out for most of the season. And while we know that the running game is supposed to not matter anymore in the NFL, six of the top 10 rushing teams this season made the playoffs. Things took a turn toward the bizarre after Week 2 when the Browns traded starting running back Trent Richardson to Indianapolis for the Colts’ first-round draft pick in 2014. Despite only playing two games for the Browns this year, Richardson ended up as the team’s fourth-leading rusher and still outperformed his primary replacements on the Browns – McGahee and Baker. While Richardson is most likely never going to live up to being the third overall selection in the draft, the Browns front office and (too) many fans have already chalked this trade up as a win for the Browns because they acquired another first-round draft pick. But since returning to the NFL in 1999, the Browns have made 16 picks in the first round of the draft and only four of those picks have turned into actual good players (although the jury is still out on Barkevious Mingo). So why is it a given that this front office will turn that pick into anything other than another bust? Key quote: “I think (the trade) puts us in a very good position to have made some real progress and to be in very good cap shape going into next season.” – CEO Joe Banner in announcing the Trent Richardson trade. There’s really not much else to say or write about Joe Thomas, who has simply been the Browns best player since being drafted in 2007. Thomas made the Pro Bowl this year for the seventh time and was named first-team All Pro for the fourth time. He is so good, he isn’t worried about speaking his mind about the current state of the dysfunctional team that hands him his pay check. As for Mack, he finally got the recognition he deserved for being one of the best centers in the game, earning a spot in the Pro Bowl and being named second-team All Pro. Oh, and like T.J. Ward, Mack is set to become a free agent after this season. Since being drafted in 2009, Mack has not only started every game, he’s done it having to place twice a year against the likes of Baltimore’s Haloti Ngata, Pittsburgh’s Casey Hampton and Cincinnati’s Geno Atkins. Now that Mack put up such a monster year the Browns will have to dip even deeper into their big pile of unused cap space to bring him back. Pro Bowl players in the prime of their careers don’t hit the free agent market very often (if ever), and if the Browns don’t bring Mack back it will create yet another hole for the team to fill. And since Mack is one of the best players at his position, how exactly are the Browns going to improve at such a key spot? And when was the last time the Browns had a free agent that you actually cared about the team resigning, let alone two of them? Remember that next season when Mack is in San Francisco and Ward replaces Troy Polamalu in Pittsburgh. Key quote: He’s one of the best centers in the NFL, and if we don’t bring him back, we (will) have a big hole to fill at center, which is one of the most important positions on the offensive line. 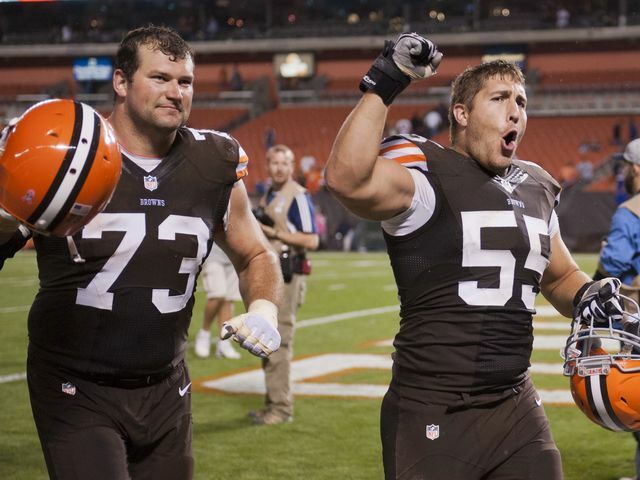 He has to be one of the best in the NFL at understanding the mental side of the game and getting everybody on the same page blocking-wise.” – Browns left tackle Joe Thomas on Alex Mack. 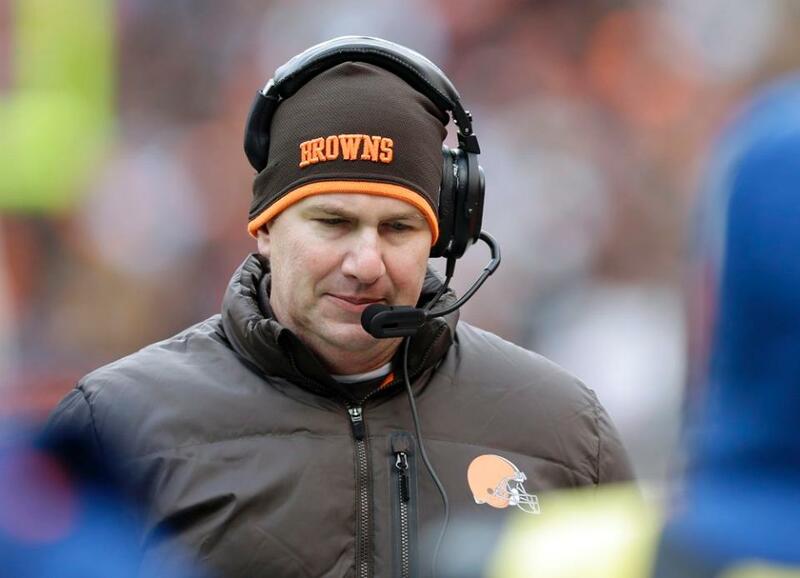 The Browns went into the season will to give Brandon Weeden a chance to show that his struggles as a rookie where due in large part to having to play in Pat Shurmur’s antiquated offense. Two games into the season the Browns realized that it was Weeden, not the system, that was the problem, setting off a season-long carousel at quarterback. First up was Brian Hoyer, a quarterback who had been released by New England (supposedly the greatest and smartest organization in the NFL), Pittsburgh (pretty good at personal decisions) and Arizona. Any team in the league could have picked up Hoyer, but only the Browns were interested. Hoyer took advantage of not being Brandon Weeden, facing Christian Ponder in his first game as the Browns starting quarterback and being from Cleveland to win over Browns fans during a two-game winning streak. Hoyer’s season ended with a torn ACL against Buffalo, spinning the carousel back to Weeden before landing on Jason Campbell. After posting a “moral victory” in his first start (this is Cleveland, apparently we don’t ask for real wins from our quarterbacks), Campbell settled in and played like what he is, a career backup, posting a 1-7 record as starting quarterback. Despite a trio of quarterbacks that would not start for another team in the NFL, and thanks to the non-existent running game, the Browns attempted the most passes in the league this season despite being just 31st in completion percentage, 29th in yards per attempt, seventh in interceptions thrown, third in sacks allowed and 25th in quarterback rating. Collectively, the power trio the Browns started at quarterback combined for just 25 touchdown passes while throwing 20 interceptions and completing just 55 percent of their passes. 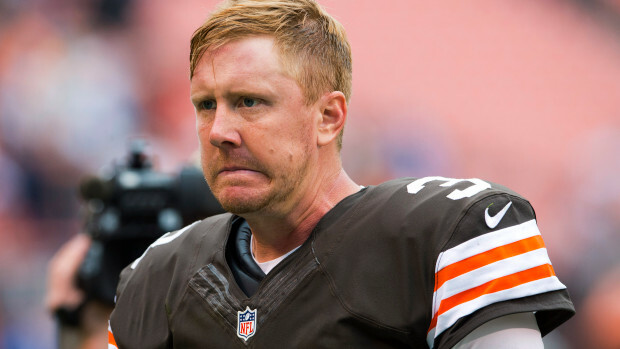 Campbell was 34th in completion percentage (out of 37 quarterbacks) and, coming in at 37, was Weeden. They were also sacked 49 times, which, taken collectively, was the second highest total in the NFL. Is it any wonder this team went 4-12? Key quote: “I’m going to go out there with confidence. I’m not going to be timid. I’m going to go out there and play hard and leave it on the line and take the chances I did and always have.” – quarterback Brandon Weeden. The Browns made a lot of noise in the off-season, signing linebacker Paul Kruger to a deal that guaranteed him $21 and defensive lineman Desmond Bryant to a deal that guaranteed him $15 million. They join the aforementioned Bess as the Browns big moves in free agency. Kruger and Bryant are nice players, but they were backups on their previous teams and even though they were paid by the Browns like starters … they still pretty much played like backups. Jabaal Sheard made the transition from defensive end to outside linebacker and put up better numbers than Kruger despite missing three games with a knee injury. Oh, and Bryant has a serious heart condition that required surgery before the season was over. Then there was the NFL Draft. After selecting Mingo at No. 6 in the first round, the Browns essentially took the rest of the weekend off. The Browns did pick cornerback Leon McFadden in the third round, but McFadden couldn’t get on the field until a season-ending injury to Chris Owens. They also selected safety Jamoris Slaughter in the sixth round, who they eventually waived, before getting to the meat of the draft and selecting Armonty Bryant from East Central and Gilbert Gilkey from Chadron State, both in the seventh round. It is also worth pointing out that, while the Browns have five players picked for the Pro Bowl (Thomas, Mack, Haden, Cameron and Gordon) along with one alternate (Ward), none of them were drafted by anyone currently employed by the Browns. Still excited about those 10 draft picks in the upcoming draft, Browns fans? After years of hiring and firing coaches the Browns told us they had it right this time. Chudzinski was a talented coordinator who we were told (repeatedly) grew up a Browns fan and would lead the team out of the NFL’s wilderness. He was supported by a veteran offensive coordinator in Norv Turner and an aggressive defensive coordinator in Ray Horton. Now, all three are out after Chudzinski became the first coach in franchise history to be fired after just one year on the job. As for the defense, Horton’s squad was near the bottom of the league in both red zone defense and third-down efficiency, gave up 406 points (the most since 2000) and continually had trouble stopping the other team at the end of the first half and the end of the game. Even by Cleveland’s standards, things went south in a hurry. Key quote: “It was a very, very impressive group of people we met with, it leaves us very confident about this hire, very optimistic. We’re very excited about having Rob here and believe he fits exactly what we’re looking for.” – CEO Joe Banner on Chudzinski’s hiring. 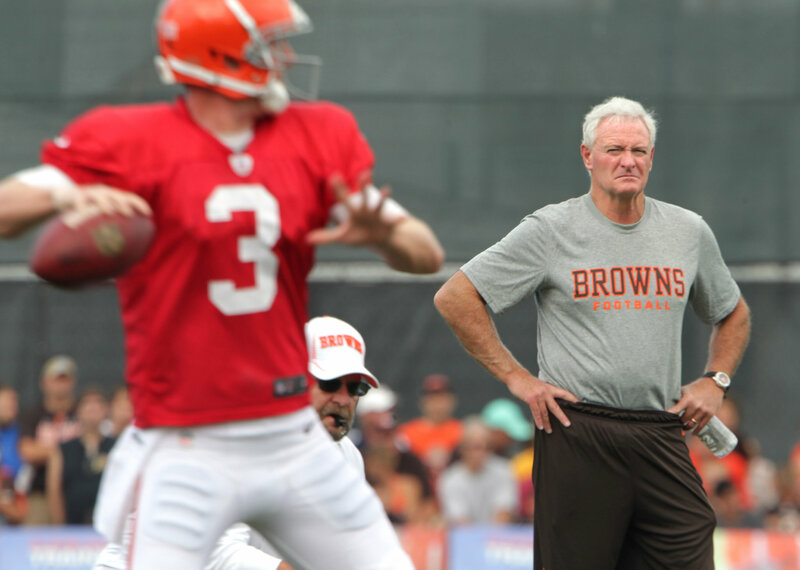 When Jimmy Haslam bought the Cleveland Browns, many fans were enthusiastic simply because he was not Randy Lerner. Everything was supposed to be different under Haslam’s ownership, but here we are a year-and-a-half later still wondering what is different. Key quote: “I haven’t ever done this before, so I don’t want to pretend to be an expert. I think we’ll just have to learn as we go. I don’t have anything set in mind because I’ve never done this before.” – Browns owner Jimmy Haslam at his introductory news conference. No where to go but up, yes? yeah, but that’s what we thought in 2011, 2009, 2006, 2002…every time I think it can’t get any worse it does. After the 2001 draft I said I’d never follow the Browns again until Randy Lerner sold. Then 4 months later, he did, and somehow, we dug through the bedrock and ended up in a pool of liquid hot magma. I hope you’re right, but I’d dont want to be too confident. That never seems to end well. The further we get away from the end of the season the better things look. The Browns have an opportunity to get this thing turned around quickly, all they need to do his hire the right coach, find the right quarterback and spend some money.